Our hair is one of the many things that changes as we age. Grey hairs, overall thinning, and hormonal changes during menopause can wreak havoc on the mane you once knew. 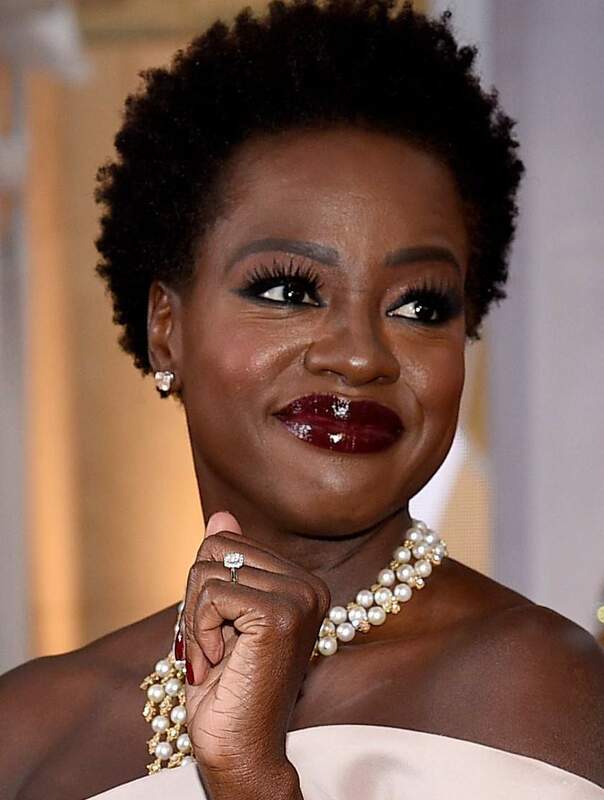 Thanks to the success of women like Tina Fey and Julia Louis Dreyfus, we’ve seen a diminishment in mass media’s belief that women over 40 instantly turn into grandmothers, and these 25 chic and trendy hairstyles are here to prove it. Who said you have to cut your hair short at 40? This mid-length cut is perfect for framing Julia’s face and complimenting her fun personality. Sticking to a shade close to your natural hair color allows for easier upkeep. Beware of going suddenly dark in your 40s. Julia’s olive skin tone can support this darker color, but the warm tones and highlights keep it from washing her out in the way a flat raven shade might. Has anyone ever managed to watch an episode of House of Cards and not be completely transfixed by the perfection that is Robin Wright? The only thing more impressive than her flawless look is her acting prowess. This signature blonde, asymmetrical cut is the ultimate embodiment of chic, sophisticated female power, and a more understated version of the undercut, where the sides are more closely cropped without being shaved all the way down. This is a great look to maintain long term or stop off at in between long and short styles. Versatile enough to wear down and flirty or sleek and tied back. If you’ve never considered going blonde after 40, think again. Lighter colors require less maintenance between touch ups, and are better at camouflaging greys. Now that grey hair is finally on trend, there’s no reason why women who aren’t in their 20s can’t make the most out of this style. 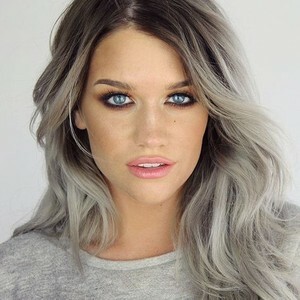 Whether you’re naturally grey or you get your steely color from the salon, this look is the perfect marriage between sophistication and a trend that’s on fire. If you want to be a little more daring with your color, don’t be afraid to join in the trend of unnatural shades. This look has become ubiquitous enough, especially in creative fields, that it’s appeal crosses over between generations. Now that you’re over 40, you should have enough money to invest in having a professional help you achieve this color. 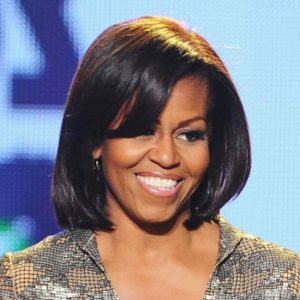 The first lady of style, Michelle Obama has given America eight years of copy worthy looks. This cut is the approachable cousin of a blunt bob, adding in a side swept bang for face framing without the harsh line that a straight across bang can give. Even on a hair chameleon like Jada, this natural look is a stunner. There’s a powerful confidence that comes with this look many younger women are afraid to pull off. Use a leave in curl cream to get bouncy, defined strands like Jada, especially if your hair is prone to frizz. 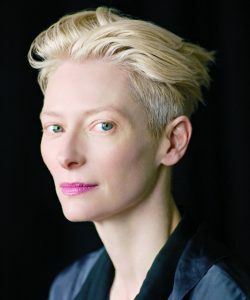 Once again proving that you don’t have to chop it all off at the onset of middle age, this grey cut with long layers shatters the idea that aging gracefully means fading into the background. Take care to invest in more conditioning treatments. As hair ages it often dries, meaning long looks may require more upkeep, but are still a valid option. And don’t be afraid of multidimensional tone when it comes to grey hair. Ask your stylist for silvery face framing or balayage to compliment your natural grey tones. If you’re looking for an edgier spin on a classic, consider going asymmetrical. This is an elegant cut at any age, and looks especially chic with a deep side part. It’s usually a good idea to keep your two sides at least an inch apart in length, or the asymmetry can appear unintentional. 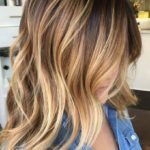 This is an on-trend cut that can be surprisingly low maintenance, especially if you’ve got a bit of natural wave in your hair. If you’re hair is thick, don’t be afraid to let your stylist shed some weight from the back of your head in order to achieve the perfect shape for this carefree look. The love child of our two favorite shorter cuts can keep up with hectic family time and board meetings. This style gives you face framing in the front, while shorter pieces in the back can let your natural texture take over. Beware of going too long in the front or too short in the back, or you might end up verging into reverse mullet territory. If you’re looking for a slimming cut on a round face shape, or injecting some new interest to a bob you’ve been wearing for a while, consider adding blunt bangs. It’s a powerful look worn by strong, confident women, and a sneaky way to shave years off your look. Be prepared to receive compliments about your eyes once you sport this look, because people will be more naturally drawn to look at them. This warm, natural color adds dimension to beachy waves or dramatic curls. Use caramel tones close to your natural color for a look that’s low maintenance. There isn’t really any skin type that doesn’t look good with caramel hair, but if you’re a natural redhead with very fair skin, a strawberry blonde color might be more flattering. While some long styles start to feel forced as you approach middle age, women blessed with natural curls seem to get better with age. Keep layers long and cascading, and frame your face with warm tones for an added glow. This modern classic is flattering on almost any woman, but looks particularly good if you’ve got an oval face shape. 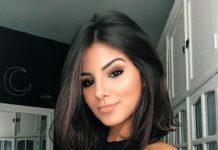 Go for long layers in the back, and shorter face-framing in the front, with a side swept bang to add dimension on days when you decide to wear it up. The undercut is hugely popular with young men and women, but that doesn’t mean it’s off limits to the over 40 crowd. This daring look highlights slim facial profiles with well defined cheekbones, and will make people take note in your professional and personal lives. 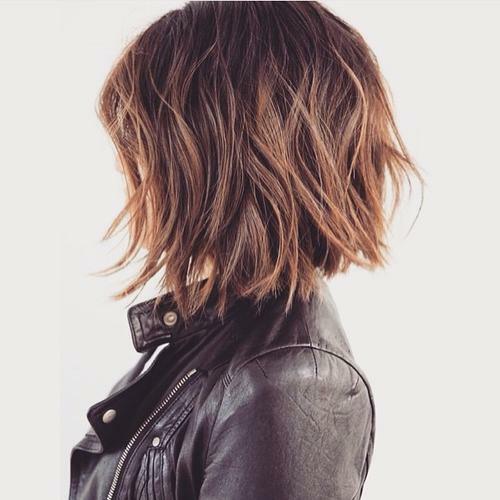 Unlike most bobs, where hair is longest in the front, this look utilizes shorter pieces around the face to create the visual effect of swept back ease. This look achieved popularity in the 90s, and is making a comeback thanks to modern, trendy women like Lena Headey. If you want a short, chic cut with a little more room to play, try this surprisingly versatile pixie. Whether pushed forward or slicked to the side, you’ll save time only having to worry about styling half of your head. 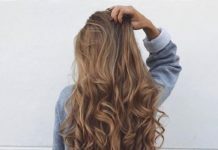 If your skin is too fair to go caramel, and you aren’t ready for grey, consider updating your color to strawberry blonde. While it works with any haircut, there’s something extra appealing about long, simple strawberry locks. This has become ageless beauty Jane Fonda’s signature haircut, but it looks equally flattering on women half her age. Style layers flipped out for a maximum volume effect, or play it smooth when you’re running short on time. For anyone with a tight, natural curl, a close cropped style can accentuate your natural texture while making it much more manageable. 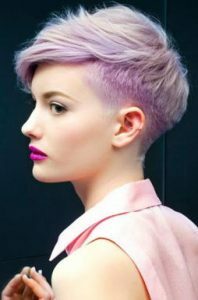 If you’ve got a looser curl, consider going longer with this pixie, but you’ll be surprised at how feminine tight curls look when cropped super short. If you’re looking to lose the length but pump up the volume, consider this technical cut. Because it requires a fair amount of maintenance, this one is ideal for women who love frequent trips to the salon. This is a great look for women with full hair, as thinner hair parted down the middle has the tendency to look flat. This big, bold style mixes vintage glamour with modern elegance. Made famous by Kris Jenner, this boy inspired pixie makes a polished finishing touch to finely tailored yet feminine business attire. 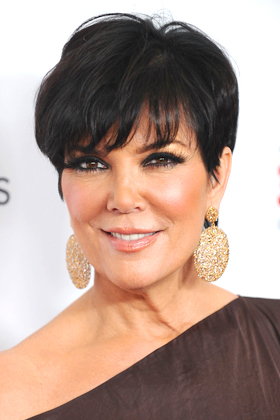 If you’ve got thick hair like Kris, this style requires upkeep to prevent it from looking disheveled, including judicious blowdrying and product consistency. 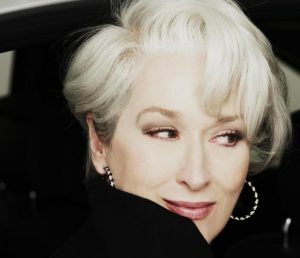 Meryl Streep’s famous character is assumed to have been based off of Vogue editor Anna Wintour, but Meryl’s hair in The Devil Wears Prada actually surpasses that of her supposed inspiration. 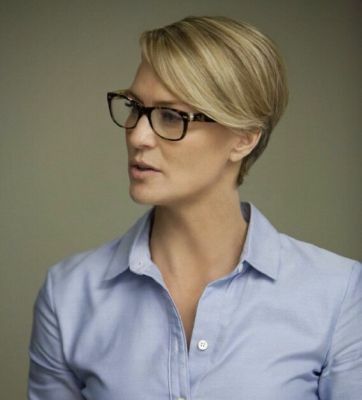 Ignore her character’s questionable morals and you can focus on this hairstyle that seconds as a work of art. Whether or not you decide to wear it in the signature white color, this cut screams exclusive sophistication.